Happy Lunar New Year! 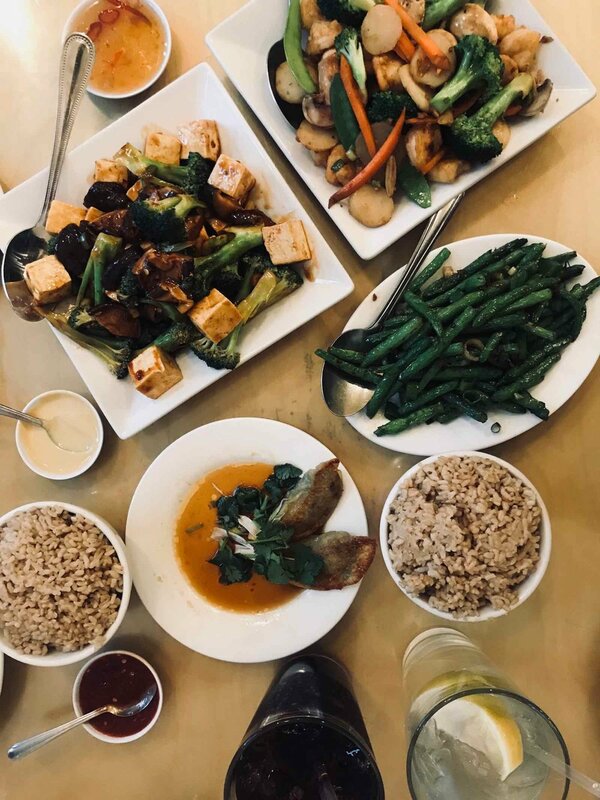 We celebrated the Year of the Dog in Downtown LA at New Moon Restaurant, where they actually make gluten-free Chinese Food! I asked for String Beans and Shrimp with Veggies. Both reminded me a lot of the stir fry dishes my mom makes. Vegetarian options for Abe (not gluten-free) that he loved as well - vegetable dumplings and a tofu dish.